It’s a constant struggle to deliver amazing customer service. When you’re buried in support tickets and live chats, and you find yourself answering the same questions over and over again, it can feel incredibly frustrating. Enter customer education, otherwise known as self-serve customer service -- or best-known as a knowledge base. A knowledge base is a library of information about your product or service. It helps customers find answers to solve problems on their own and -- if you do it right -- a good knowledge base can scale out your customer support program while improving the overall customer experience. It might sound surprising, but the fact is, users want to find answers on their own. 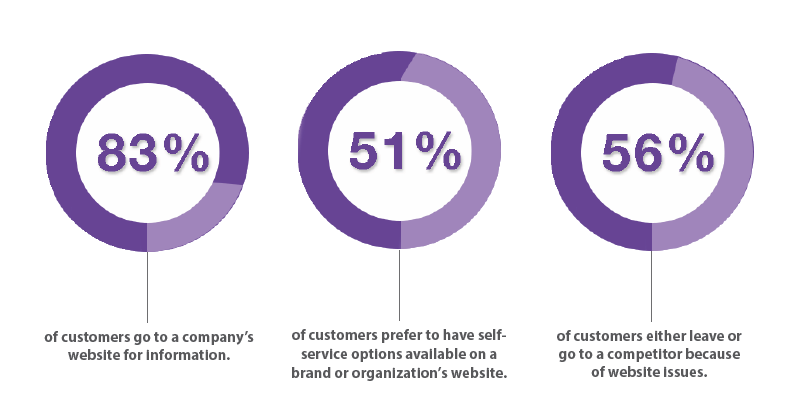 Forrester found that 70% of customers prefer to use a company’s website to get answers to their questions rather than use phone or email to contact the customer service department. The stats suggest the future of customer service will be a lot less “high touch” than the present. A Gartner study projects that by 2020, the customer will manage 85% of the relationship with an enterprise -- without interacting with a human. You can benefit from a knowledge base because it saves you time spend repeatedly answering the same basic questions over and over again. According to Destination CRM, 45% of companies offering web or mobile self-service have reported an increase in site traffic and a decrease in phone calls. If you’re struggling to keep up with reactive customer service, or if you simply want to invest in building and scaling a greater customer experience, it’s time to look into building a knowledge base. 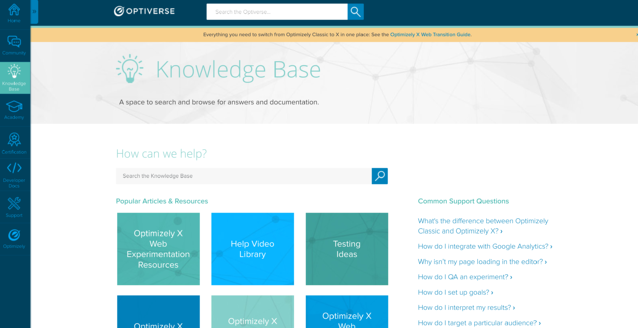 Knowledge Base Definition: What is a Knowledge Base? Feel free to treat this guide like a choose-your-own adventure story and jump to specific sections to read what’s applicable to you, or peruse the whole thing. First off, let’s define "knowledge base." Knowledge bases may seem like a simple enough concept, but let’s step back and put the idea in context. 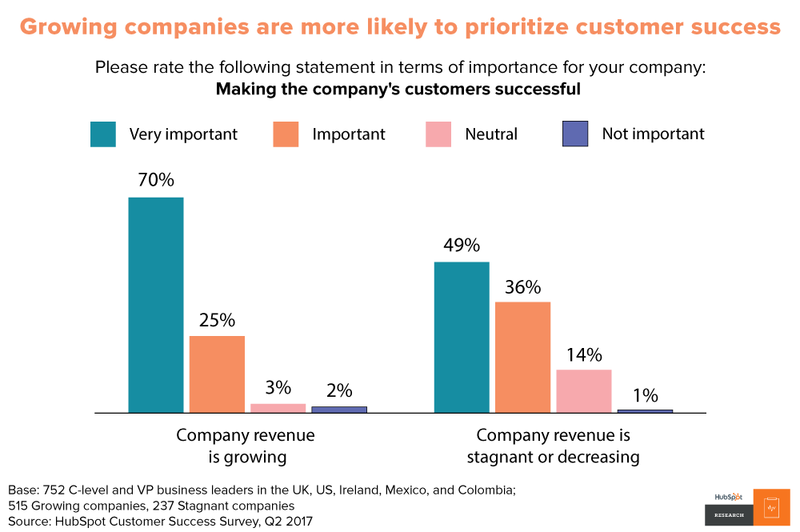 Customer service organizations exist to improve the customer experience. They ways they do this can vary, but it usually starts out with some sort of ticketing or case management system. 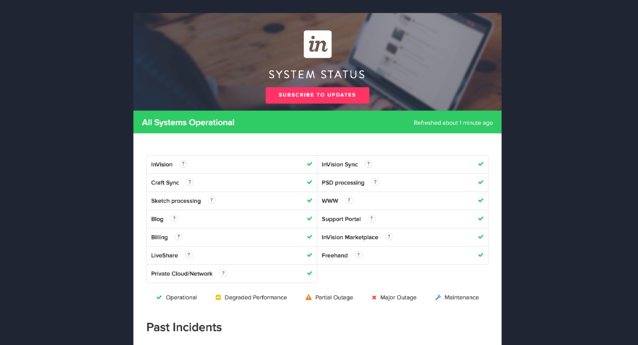 When a user has a question or an issue, they get routed through this system and can get an answer through various channels, including email, live chat, social, etc. All of this is reactive. And when it comes to reactive customer service, it’s time-consuming (because you have to have well-trained support staff operating these systems and interacting with customers to ensure a good experience) and can get repetitive. For example, if you work at a photo-sharing startup, you might get the same question about how to upload a photo dozens of times per day. This repetition is valuable, of course. It shows you how your user experience may or may not be intuitive and how it could be improved. But in the meantime, this reactive repetition is time consuming, stressful, and isn’t scalable. 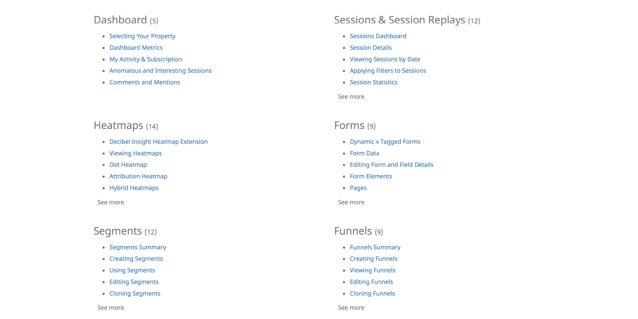 A knowledge base allows you to create self-service customer support content around recurring topics, issues, and themes. Returning to our photo sharing app example, why not simply create an article to explain the process of uploading a photo? That way, a user can search for and find this article, or you can simply send them the article via your regular ticketing system to save time. If you’re not sold, consider the economic value when you scale out your operations. According to Forrester, a chat with a live customer support agent can cost $6-12 per interaction, but an automated interaction can cost as little as 25 cents. A knowledge base doesn’t simply have to be a reservoir of help center articles. It can also include functions like a frequently-asked questions (FAQ) section, a user forum, articles, white papers, how-to articles, video tutorials, case studies, and dictionaries or glossaries -- essentially, anything that helps customers understand and use your products or services. Technically speaking, a knowledge base could also fall under a few broader use cases. In most contexts, we think of it as an online knowledge base, something that helps customers find answers to common questions. But you could also set up an IT knowledge base or an internal company knowledge base to help your employers learn how your organization operates, discover benefits and HR information, or get answers to common IT and technical questions. At its core, no matter the purpose, a knowledge base simply helps users discover answers and achieve success in their endeavors. For the sake of this article, we’ll focus on customer-facing knowledge bases. Let’s move onto best practices for building a self-serve customer education center. The truth is, building a knowledge base doesn’t ensure it will actually be successful (or even useful for that matter). First, the customer has to actually be able to find answers to their questions. 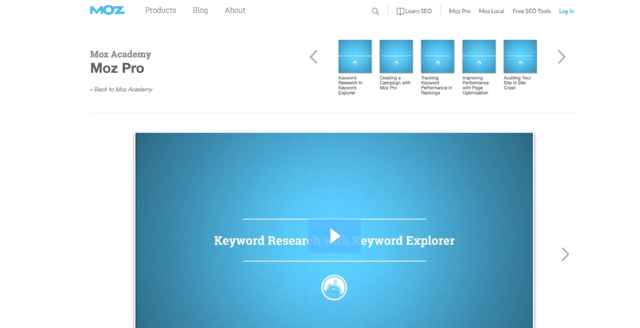 This brings user experience, design, architecture, and even SEO into the mix. Second, they need to be able to understand the help documentation, and to be able to take action based on the information. It’s hard to write clear yet robust instructions, but it is possible. Finally, it’s hard to measure the effectiveness of a knowledge base. How do you know if customers are leaving your knowledge base article happily with new knowledge and answers in their head -- or if they’re leaving, frustrated and without answers, contemplating changing to a competitor? On the same note, how do you know you’re creating the right content and actually answering everything your customers care about? There’s not an easy answer here. However, there are best practices for building a knowledge base and measuring its effectiveness. 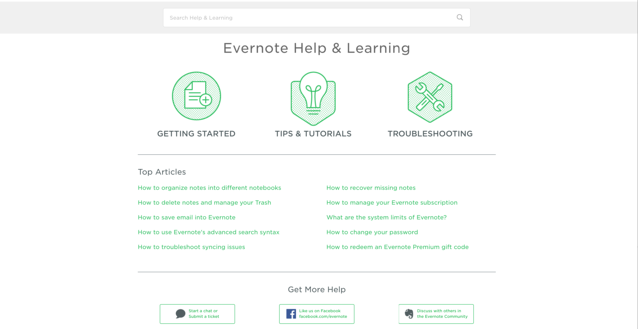 Evernote gives you the opportunity to search for a specific issue, navigate by categories (“Getting Started,” “Tips & Tutorials,” “Troubleshooting”), or search by top articles. You can also check out their other support options like tickets, social media, and their community. Discoverability is incredibly important when it comes to knowledge bases. If a user has a problem, can they find the solution? Key focus areas here should be in sifting the most popular articles to the home page and making them prominent, as well as improving search functions so users can find their specific problems. So navigation and discoverability should be a primary focus. Once you’ve got those aspects down, you can start optimizing your process of how to write a successful knowledge base article. Writing knowledge base articles is not unlike writing educational blog content. In both cases, you want to attract readers with a strong and clear headline, give lucid and helpful instructions, and allow them to walk away with new information or ideas. 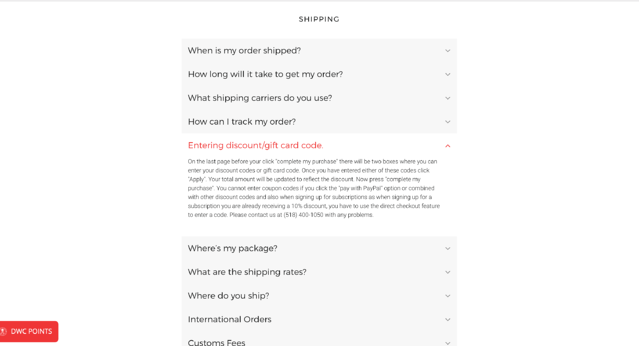 Add most frequently-asked questions in your support ticket auto-responder or chatbot. Essentially, the same writing principles that apply to blogs and other nonfiction, instructional formats apply to your knowledge base. Be clear, specific, and descriptive. The addition here is simply to link to as many helpful resources as possible and to prioritize readability and understandability over complexity and nuance. But wait, that’s only for text-based articles. What about video content? While there is a debate around which is more effective -- text or video-based support content -- it’s generally best to combine both. People learn in different ways -- some prefer to read, while some prefer to watch. "A video enabled knowledge base allows you to reach a wider audience while reducing confusion of complex steps. Video allows you to bridge language barriers, knowledge/skill level barriers, as well as some accessibility barriers. By describing visually, and verbally the actions you wish your users to take, you enable a wider set of your users to be successful. Difficult steps can be shown in place of complicated diagrams, or large lists of written steps. Text translations can be expensive, and can lose specific meaning in translation (especially with proprietary terms or deeply technical or industry specific terms). Text also assumes your user reads and understands at the level of the author, which can lead to confusion and frustration. Video removes these barriers by showing and not telling.Research has shown that searches related to “how-to” on YouTube are growing 70% year over year. Customers' want to self serve and video is an increasing method to do so. Videos within articles should average between 60-90 seconds long." As I mentioned, it's best to use a combination of both. Text-based content is more likely to rank on search engines, making it more discoverable to customers searching for solutions. Video content generally allows for more visual tutorials and step-by-step walkthroughs -- although video content can rank on YouTube, which is the second-largest search engine after Google itself. No matter which format you choose to do, make sure you add some sort of visuals to your content. It really helps visual learners understand what you’re talking about. Usually, simple screenshots with annotation will suffice. "They should be consistent in their tone, not display private information, and always end with a call to action that guides the viewer on what to do should the video not be helpful. These videos will increase your customers' ability to self serve, improving customer satisfaction and reducing your caseload all while reaching a wider customer base in the medium they want to use." 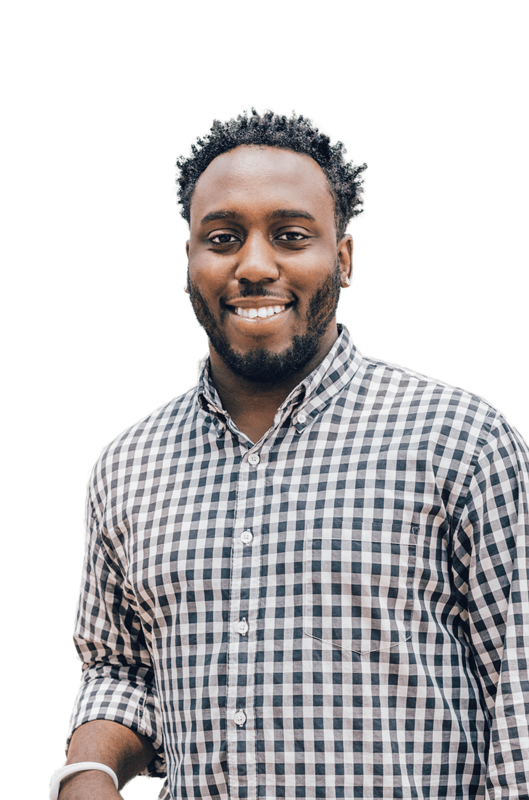 Vidyard put together a great article on how you can better utilize video in your customer education if you'd like to read further. It’s simple: Look for trends. When you’re getting the same question over and over again, it’s probably time to write a knowledge base article about it. You can also find bottlenecks in the user experience of your website using tools like HotJar or Usabilla, or even simply by running some user tests to see where people struggle to complete tasks. The main priority here should actually be to improve the core user experience to remove the usability bottlenecks, but in the meantime, you should definitely still consider writing help documentation to ease the process. No user experience will ever be perfect for all people, and if some are struggling with a task, you can improve their experience by giving them self-serve documentation to figure it out. 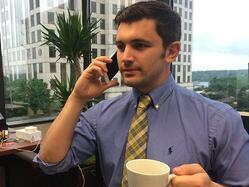 "Listening to customers is core to who we are as a company. 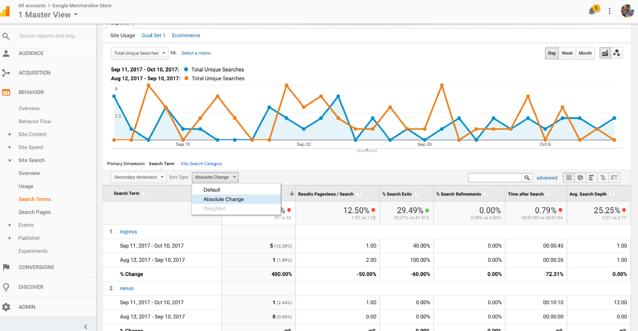 We analyze article traffic, contact rates, and search queries from our help center, then compare it to customer support email data to uncover recurring themes and surface language patterns to create targeted content that resonates with customers. We specifically focus on data from support emails that present self-service opportunities—common themes that can be answered in only 1 or 2 replies from our customer support team. If a question can be answered efficiently over email, it can likely be solved by self-service content, which means we can make a measurable impact with content improvements in our help center." Now that we’ve covered some best practices for knowledge base formats and how to write great knowledge base articles, let’s look at some example of companies that do it really well. You’ve got a good grasp of the theory and best practice, but what does an effective knowledge base look like? For that, let’s go over some excellent knowledge base examples. Optimizely’s “Optiverse” is huge, and it contains a community forum, a traditional knowledge base, an educational academy, certification programs, developer documentation, and a link to regular support. You can also see that they frequently link out to other helpful sources within the body content as well as on the sidebar. This helps users find solutions to related issues. 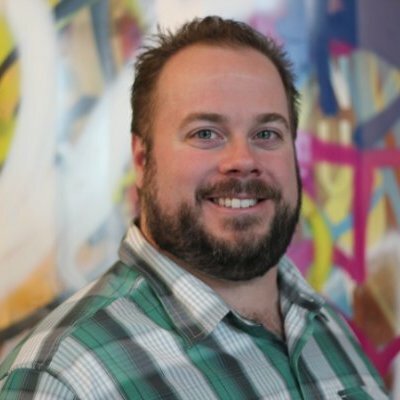 ”As an experimentation company, we took a data-driven, iterative approach to Optiverse. Through experimentation, we questioned common assumptions about how knowledge programs should work and explored search-first vs. browse-first behaviors; article lengths; recommendation algorithms; and more. What we have today is a knowledge base that not only helps customers answer support questions easily, but also serves as a competitive differentiator in the market. 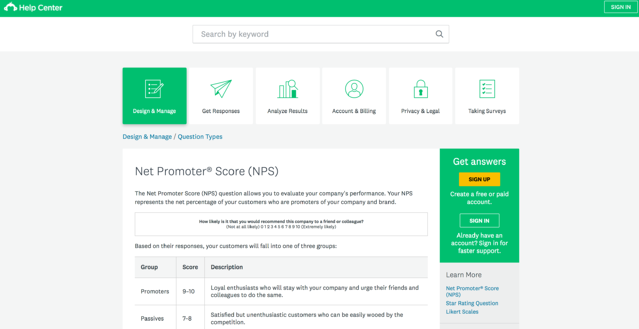 When you have a question about Optimizely or optimization, even if you're coming in through organic search, Optiverse is often the first stop.This builds our customers' and prospects' trust, and shows that we're experts in the field of experimentation." 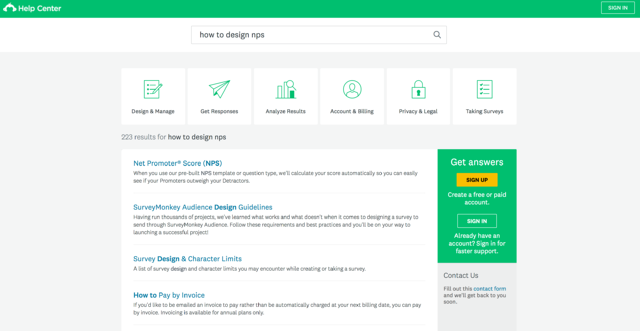 When it comes to a knowledge base design template, SurveyMonkey has one of the best examples I’ve seen. It’s clean, beautiful, simple, and intuitive. I like the visually prominent search bar and the clear topic categories. As a large percentage of your users will use the search feature to find a solution to their specific question, I tested out the functionality here, and it brings up super-relevant search results (but also keeps the categories prominent in case you’d rather browse). In addition, you can see a visually prominent sidebar module to sign up to get faster service, as well as a less prominent module to contact them for support (as a last resort, presumably). When searching, it also helps to have a good autocomplete system to suggest possible questions your user may have. 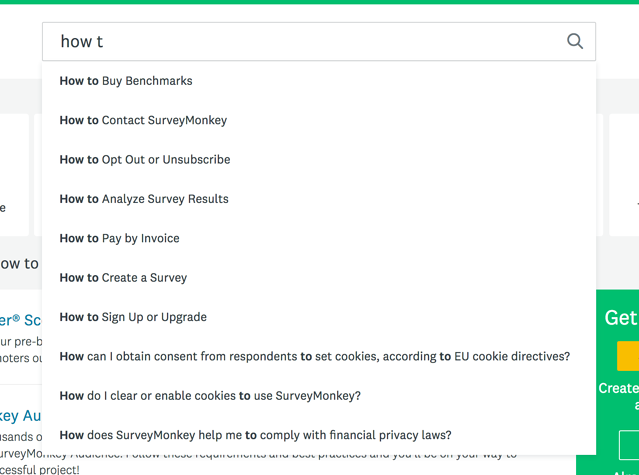 SurveyMonkey has this feature and I can only assume the suggestions are ordered by popularity or some sort of context (or they should be, at least). Finally, when you do click into a knowledge base article, the design is still great, and you get the information you need. More notably, look at the highlighted topic category and navigation breadcrumbs -- you know exactly where you are on the site. (It can be stressful to get lost on a website, especially when you’re searching for answers). Within the article, SurveyMonkey also links to product features like survey templates. This can be helpful to get the user started as well as to simply get them to use the product. The only thing I can think that they could add is some sort of feedback mechanism to see whether or not an individual article is actually helpful (or how it may be improved). In absence of a feedback related action, it’s really hard to optimize a knowledge base for usefulness. The next knowledge base example we have here does a great job of capturing and utilizing feedback. 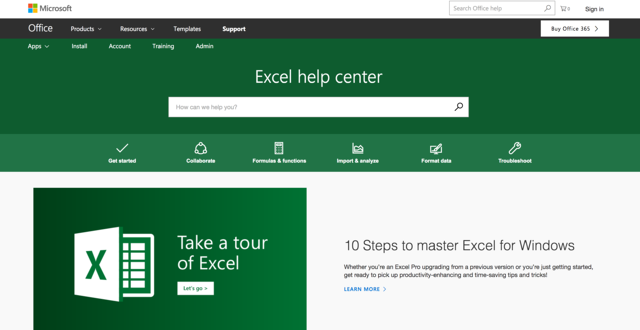 I’ve spent a ton of time on the knowledge base for Microsoft Excel (as I’m sure many other people have). It’s generally a really good example of how to build a knowledge base. The cool thing is that Microsoft has clearly done its research and analysis and has built the knowledge base homepage to reflect top user concerns. 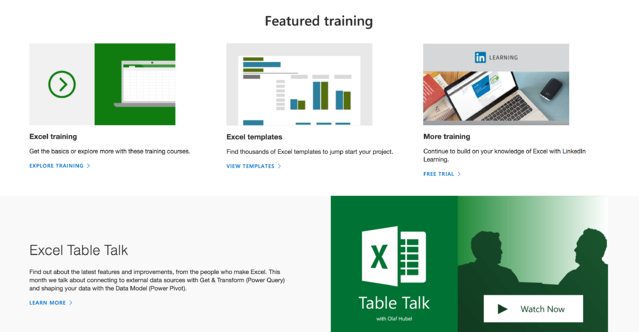 They also offer trainings and higher-level education on Microsoft Excel. The actual knowledge base article itself is readable, scannable, and helpful. You can jump to specific sections, and they also link out to related content frequently in case you're not in the exact right place. Finally, they give you the chance to rate the quality of the article on a binary scale. This helps them measure effectiveness and optimize knowledge base articles as needed. We focus a lot on customer education here at HubSpot. 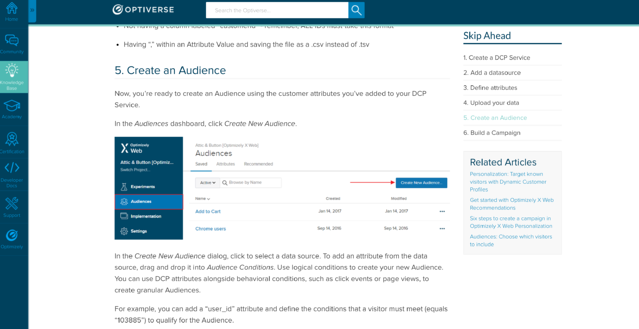 As such, our knowledge base contains a bunch of different elements, including documentation (for developers, designers, and general users), training (online, consulting, and classroom on a variety of topics), certifications, and a huge variety of community features (like forums, case studies, a customer blog, and more). 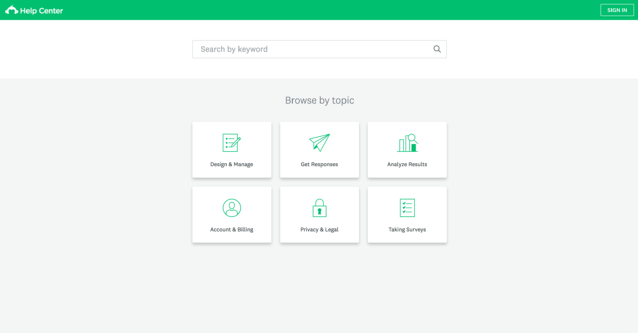 Because of the large variety of customer education features, we 1) put a lot of emphasis on our navigation structure and 2) include a prominent search bar feature. This allows visitors to find the specific section of the knowledge base they’re looking for or to search for a specific solution to their problem. “Self-service resources are a critical part of reducing customer friction and deflecting cases from your customer support team. InVision, a product design and prototyping software, also includes a multi-faceted knowledge base -- it includes news & release information as well as standard help articles, a contact support option, and a search feature to tie everything together. They also have a status indicator that updates in real time to let you know if there have been any technical incidents. Some of their articles are comprehensive and educational, others are more straightforward and feel like scaled out customer support articles. They read like simple FAQs, which, depending on the context, may be just what you're looking for. Moz is a stellar example of using knowledge base content not simply for reactive customer support, but for proactive customer education as well. They even refer to their knowledge base as a "learning center," which shows you how they're framing their efforts. 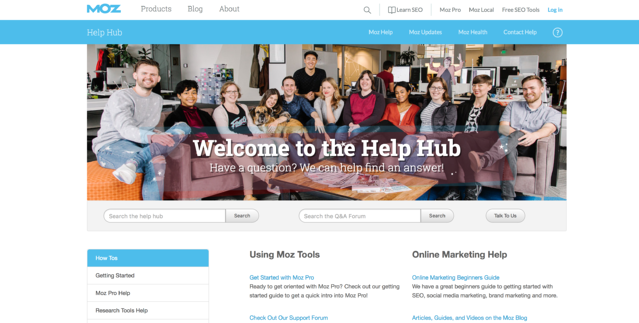 You'll notice from the prominent CTA on the home page that they're promoting a guide to SEO. This is different than most knowledge bases, in that it's not explicity product focused. It's not about what Domain Authority means or how to find it in the tool. It's about SEO more generally and how to excel at the dark art. The rest of the learning center continues on this way, with lessons in many different facets of SEO. Finally, you get to a point where you can get product specific content. Any given product-based help article is high quality, and it includes a variety of teaching styles -- step-by-step text, images, video. They're comprehensive and it's hard to imagine walking away without finding your answer. How long does my trial last? 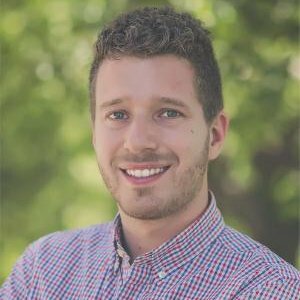 How can I get in contact with support? Same deal with knowledge base articles: if you’re getting the same question over and over, write up an FAQ page for it. As companies have increasingly started valuing the idea of creating a knowledge base, it’s been easier and easier to build one -- at least from a technological standpoint. As a result, there is now a variety of knowledge base tools and software for companies of any size or stature. Options range from knowledge base software and FAQ software all the way to enterprise solutions. To start lean, let’s cover knowledge base software. First, if you can rig up your CMS software to serve the purpose of a knowledge base, that may work alright for you. So whether you use HubSpot or another system to manage your website content, it’s quite likely you could also use this to set up your customer education content. If you’re using WordPress, it’s easy enough to find free knowledge base solutions as plugins - one of the most popular options is the WP Knowledge Base plugin. With this, you simply need to install the plugin, add categories, add articles, and choose a page where your knowledge base will be accessible. Further instructions for building a knowledge base on WordPress can be found here. Is this knowledge base software free? What does it cost? Do we need forum or community features? Is this the best forum software for us? Does this software give us the analytics we need? How is the support for this software? Does the software integrate well with other tools we’re using? In short, it’s like any other decision where you must weigh the pros and cons and find what works best for you. You might want to check out software review sites like G2 Crowd, Capterra or Software Advice. Or simply get on a call with companies you’re interested in to see if they can offer the features and support you’re looking for. Building a knowledge base can help you scale out your customer support and customer success efforts -- without having to add new customer support staff. As such, it can help you reduce costs, improve customer satisfaction, and boost the ROI of your customer success organization. In addition, it can help you to focus more on proactive efforts such as customer education and empowerment instead of simply reacting to support tickets. This shift can be a huge organizational win. There are many ways to build an effective knowledge base, but it all boils down to answering important and frequent issues that come up with customers. We're doing a promotion that you may be interested in! HubSpot is releasing knowledge base software in 2018. Get notified when it's ready for action.